← An interview with Jacqui Murray and me! I just ran into Janice yesterday. I’d love to drop by. Thank you, Jacqui. 😀 Janice is a lovely lady. I very much enjoyed reading the insightful interview of you by Janice Spina. It was a joy to learn more about what inspired you to write after you had your accident. I can’t hardly wait to read your next books. It’s exciting that you’re branching into other genres. Best of luck on your writing career. Thank you 😀 It was an interesting time after the car accident. Lots to deal with, and writing really helped. My foray into different genres has been a bit of shift in the way I write and really enjoying the process. BTW, I’ve started on your Book 2. Really enjoying it. Wonderful interview. What better inspiration for writing historical fiction than visiting the Colosseum and Roman Forum! 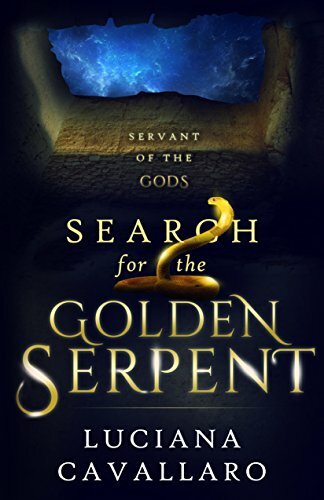 Can’t wait to read Book 3 of your “Servant of the Gods” series. I am also looking forward to reading the other books you are working on. You mentioned a favorite book of mine, “Accursed Women.” While reading it I remember thinking how brilliant it was that you wrote the story of the five women from their point of view.